Digital marketing is a hot topic of discussion today and most organizations are embracing digital transformation to keep their business alive and offer their customers what they actually demand. Before understanding the scope of digital marketing, let us first have a look at the industry. Digital Marketing is a strategy that helps to promote your services, products or brand in an online environment or digital media. In simple terms, it can be said that it helps in promoting everything that you offer to your potential customers, who are looking for your services using the internet. Marketing trends usually revolve around the customer’s demands and it helps the organizations to reach out to mass audience through proper advertising. And this allows the companies to expand into global markets. Traditional means of advertising that includes, Television, radio, newspapers or magazines are still very expensive and it is here that online advertising is preferred by business people because about 90% consumers use the internet to find something or the other. This new trend of marketing is originally called Internet marketing and is now called Digital marketing. While surfing the net, you may have come across many useful ads or videos or even amazingly written blogs. Have you ever wished to create some for your own business? If yes, then let me tell, you can do all these if you are thorough with digital marketing techniques and have expertise in it. There is no fixed eligibility required to pursue a digital marketing course. It is only that you should have some basic computer and internet skills. Whether you are an undergraduate, marketer, publisher, business owner, student, professional, housewife or an engineer, you are eligible to register under the course and learn this revolutionary trend to move ahead in your career graph. 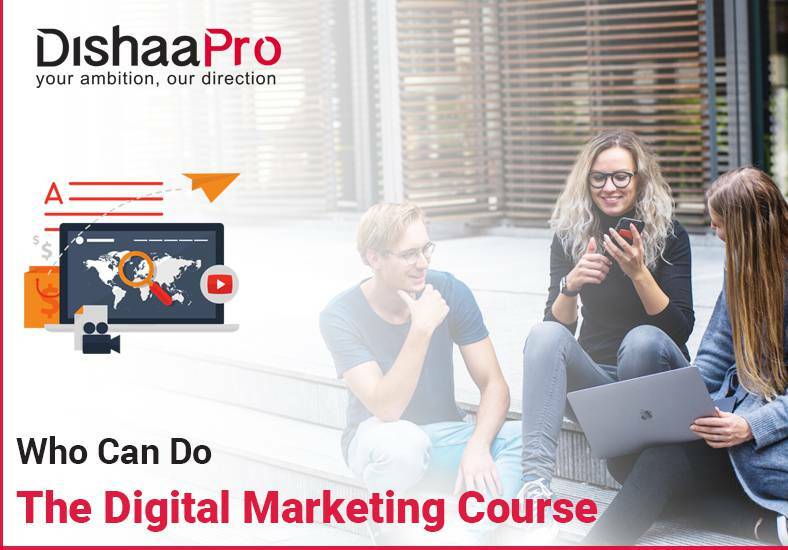 A proper digital marketing course will help you to earn more as a professional whether it is a part time or a full time job or freelancing task. Students: Candidates who have completed their graduation or even pursuing their final year can apply for this course. B.tech and MBA students: Students who are not working anywhere or are still struggling to access the professional job market can do the course. Freelancers: Individuals who are interested to take their skills to the next level or those who want to work as a freelancer in the digital market can go for the course. Entrepreneurs: People having a goal in mind to spread their brand image through digital media can learn digital marketing. Marketing managers: Those who are working in the sales and marketing department and willing to pursue their career in the digital sector can apply for this course. Bloggers: Individuals who are bloggers and are willing to maximize their results and bring in more visitors to the site can join the course. YouTube channel owners: Since this is a great means to promote business, candidates are interested in creating videos and promote it through YouTube. To enhance their skills and use the channel to the best, they can do the course. Startups: Some organizations have huge marketing teams, but have no digital marketing skills. Joining the course will help them enhance their proficiency and grow the business in the right direction.